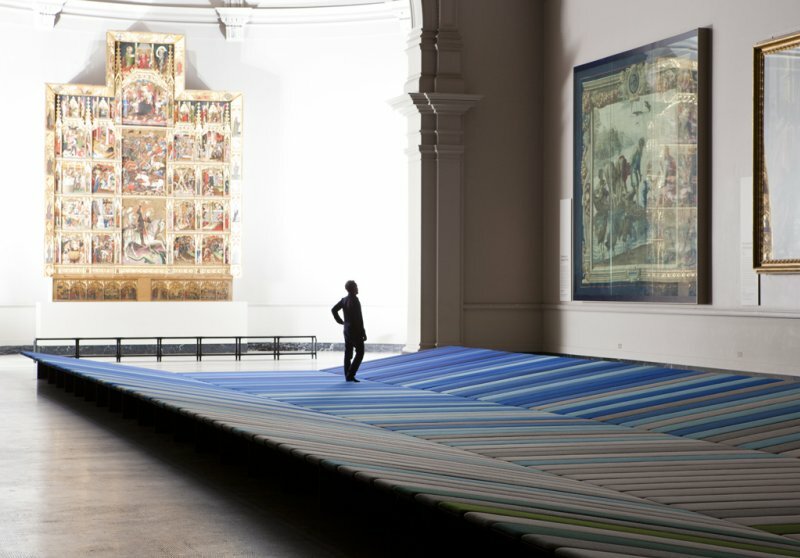 Thanks to French designers Ronan and Erwan Bouroullec, visitors to London's Victoria & Albert Museum were able to view its prestigious Raphael gallery in a very unusual way. 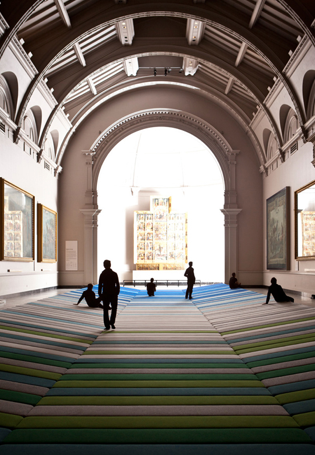 As part of London Design Week back in September, the pair created an artistic recline of sorts — giving museum goers the chance to sit back, relax and fully take in the magnificence of the old school — while wholly partaking in the new. As shown in the video (below) in a wonderful time lapse piece created by Lonelyleap Films, Ronan and Erwan's Textile Field created a unique public haven for art lovers. Textile Field took up over 240 square meters of the gallery floor and has created a space that closes the formal distance between the viewer and the artwork. 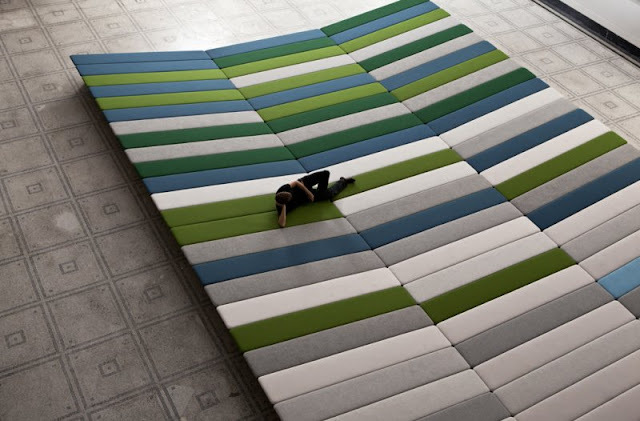 'We have decided to provide a kind of furniture element that helps people to relax their bodies and so relax their minds," said Erwan Bouroullec, "And then, maybe, the meaning will come." Have a look at more images (below, courtesy of Ronan & Erwan Bouroullec), to get a better sense of the final Textile Field display. 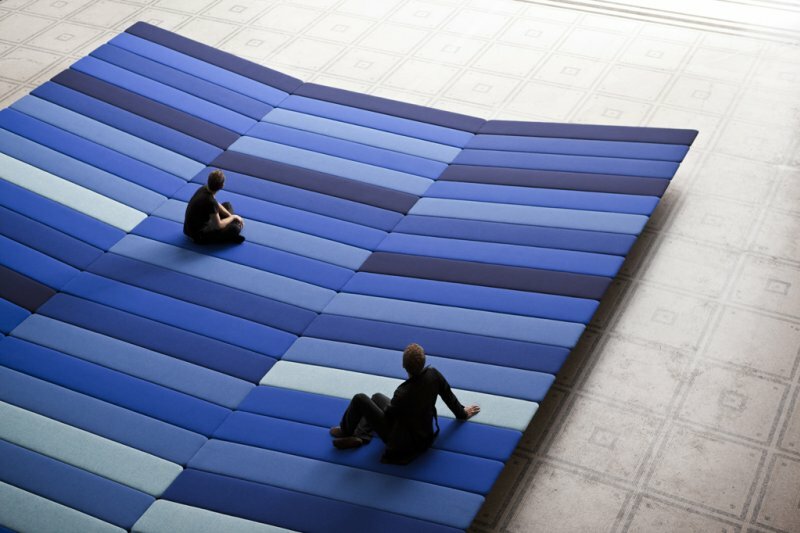 To learn more about Ronan & Erwan Bouroullec, visit: www.bouroullec.com.